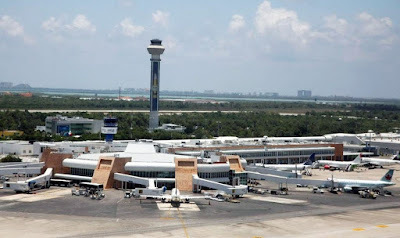 Cancun Airport is the second largest in Mexico and one of the largest in Latin America. 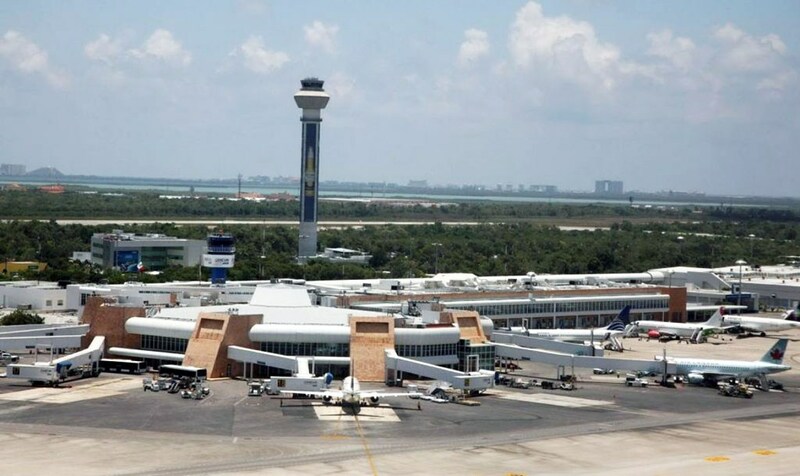 Cancun Airport received over 25 Million passengers only during 2018. Cancun and Mayan Riviera continue to be one of the safest places in Mexico where you can enjoy peace and quiet or never-ending parties and dance. However, due to the huge number of passengers arriving, Cancun airport can sometimes be overwhelming and stressing. You might even take more than one hour from the moment you leave your plane till you exit the airport. Moreover, it can get even worse when you cross the exit door to the Taxis and Tour Operators area. Don’t worry, all is fine, you will find a lot of people, which can cause an impact. However most of the people you will see there are honest Tourist Operators waiting for their passengers from a pre-hired service. The issue lies in the fact that “most” is not “all”. When you pre-hire a private transfer, you ensure that someone will be waiting for you, and only for you, at the exit of the airport. 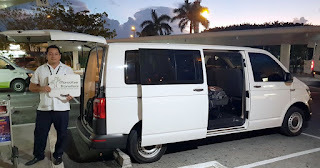 For example, if you hired a transfer from Cancun to Tulum or any other destination in the Mayan Riviera, the transportation company will be waiting for you with a sigh with your name on it. You will not have to deal with waiting on line to purchase a ticket for a taxi, or waiting for a van to be filled with passengers to be on your way. You will also not go hotel hopping dropping passengers off, which can take a lot of time from your precious vacations. After being on the go all day since the time you left home, then wait 2 hours or more to get on your plane, the flight hours, the endless lines at migration and customs, and the hassle of the people when you exit the airport, wouldn’t you like someone to be ready to pick you up and be on your way to your hotel in a recent model, air conditioned, clean, safe and comfortable van only for your party? You will most likely be approached by some persons arguing your transfer will not be there and that will even tell you the van broke and they will not be arriving or any sort of excuse for you to go with them, attention this is not true. They want your business and will only make you lose money, time and peace. 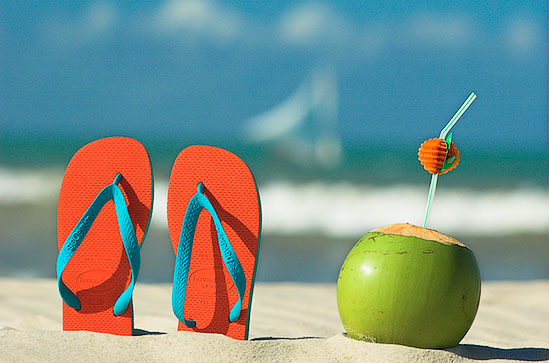 If you booked with Paradise Transfers or any other legal and fully authorized company, we will be there. If you don’t see us for any reason, remember you have several ways to get in touch with you such as our WhatsApp number, local phone, cell phone or email. There is free Wi-Fi at the airport. Paradise Transfers will always be there for you or we will try to contact you with any means you gave us to contact you. One of the greatest advantages when booking online a pre -hired transfer is the price. You will find the best prices online and from stablished and proven companies. So, begin to enjoy your stay since the moment you are with your transportation company. You can even order drinks or stop at a convenience store to get snacks and drinks. Once you arrive to your destination your options increase exponentially. You can enjoy the amazing beaches, exquisite regional and famous Mexican food, indulge yourself with breath-taking views of the area or have a tour to any of the magnificent zones of the region. Mayan Riviera has a lot to offer, beaches, cenotes, Mayan archaeological zones, fine cuisine, ecological parks, top shopping and wellness retreats; all within your reach. Nomadic species that hunt and moves from one habitat to another looking for better food and higher abundance of it. Once it locates an area that, this bird establishes its territory and remains several days there until food is scarce. The Yucatecan Charas hunt in numerous flocks and have a sentry that monitors and alerts in case of danger while the other birds feeding on the ground. One of the birds most organized groups, they can repel attacks of other birds and even other animals to defend the territory in which is feed. Tulum is 131 kilometers/78 miles south of Cancun. This tour begins in Tulum,the only know walled Mayan city. 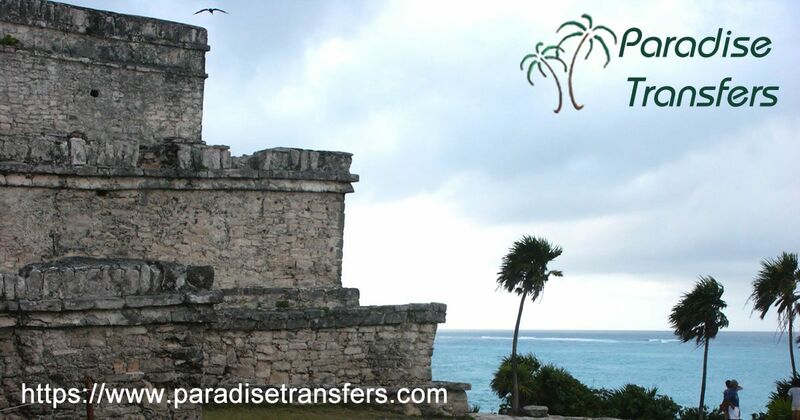 Tulum has a fantastic beach, beautiful views and fascinating history. Tulum is an easy trip that no Cancun tourist should miss. 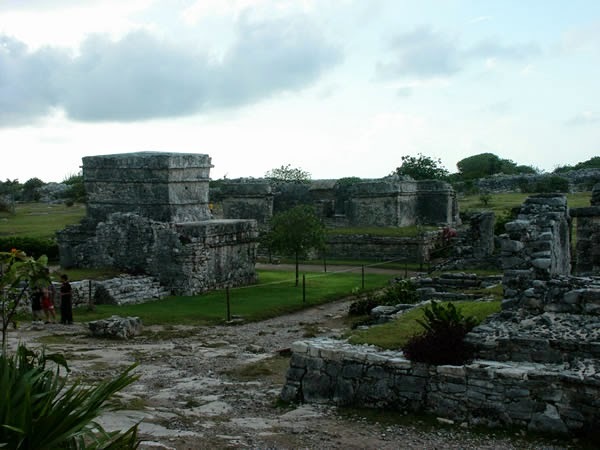 Tulum was built in the Early Classic period (AD250-600) and developed into an important city in the years AD1200-1530. The tour continues with a visit to Xel Ha, the most spectacular natural aquarium of the world for you to experience the real aquatic adventure. Explore adventure and ecological attractions as well as water activities like diving or snorkeling in creeks, lagoons, natural wells and ancient caves fed by subterranean rivers flowing to the beautiful Mexican Caribbean Sea of the Riviera Maya. Discover the secrets of Mother Nature and life along the paths of Quintana Roo's jungle. 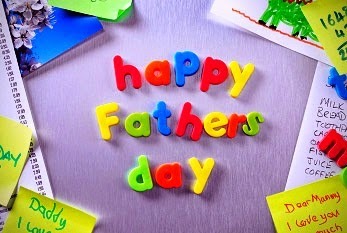 All the staff at Paradise Transfers wishes a Happy Father's Day to all Dads around the world, specially to our friends and customers! As part of our commemoration, here we include something for them! Please scroll down! Take a large nonstick skillet and grease it with oil. Add green pepper, yellow pepper, and onion. Sauté and cook on medium-high heat for 5 minutes or until tender. Once the onion gets cooked, remove the mixture from the skillet and set aside. Whisk together whole eggs and egg whites, along with ¼ cup water. Pour the beaten eggs into the skillet, cover and cook for 6 minutes. Top half of the omelet with pepper mixture and cheese. 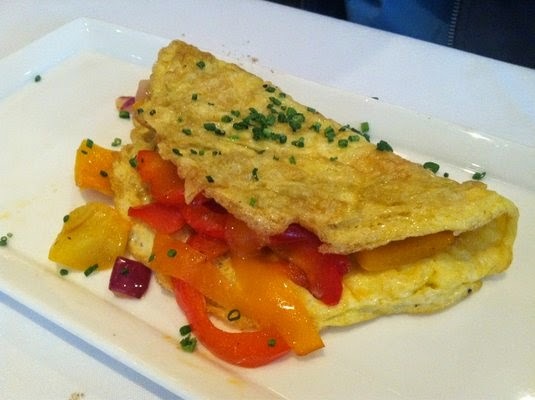 Carefully, with the help of a spatula, fold the omelet in half, covering the filling. Cover and cook for 3 minutes, or until the cheese melts. Garnish with salsa and serve hot. You can also invite him to a nice restaurant :) In that case Paradise Transfers will gladly take you wherever you need to go in the Cancun and Mayan Riviera area. We Suggest a nice restaurant in the Tulum Area, where you can find almost any kind of cuisine and in a beautiful surrounding like the beach or nearby jungle. Mexican Food has been declared intangible cultural heritage of humanity by the UNESCO in 2010. Declaration is provided in this case is the authenticity and the ability of the cuisine to evolve, change, within its own base. Therefore, we want to offer you a taste of some real pre-Hispanic Mexican cuisine which is very popular in the Yucatan Peninsula. This dish has a very particular name which derives from the way it is prepared. It is called "Pescado Tikin-Xic", which is a very special fish stew. You can enjoy it in almost all the Yucatan Peninsula but specially in the states of Yucatan and Quintana Roo in the area of Isla Mujeres. Whether you have a tour by the island either with a guide, or by yourself in one of the rented golf carts, delight yourself with this fish dish in one of the several restaurants you can find on the Island. This dish mostly served with rice, tortillas and cabbage salad. Chances are if you take a tour in Isla Mujeres you will find yourself eating this delicacy prepared with the ancient recipes of the older Mayas. Worth to mention it is delicious! This Yucatan fish stew is defined by the presence of the paste of "achiote" or annatto, a classic condiment of the Yucatan cuisine that is made basically from sour orange juice and seeds of the annatto, seasoned with cumin, clove and black pepper. Throughout the Peninsula you can find diverse pre-Hispanic spices differentiated by its color from green to black passing thru shades of Orange. For example, in the Mérida market has a section exclusively dedicated to these spices. People selling this spices are happy to explain the Mayan techniques used in the local cuisine to prepare this spices! In the US you can find the achiote prepared in a jar in several sections of Hispanic food in some supermarkets. First you have to wash the fish thoroughly with water and dry well with paper towels. Evenly sprinkle the salt and pepper. Mix the paste of achiote with orange juice and pour it evenly over the fish. Let it marinate for about 3 hours, then place the fish on the banana leaf; then evenly distribute the peppers, tomato and onion on top add the oregano, the olive oil and beer. Wrap the banana leaf may completely around the fish and place it in a container for baking. Cook in the oven at 350° c for about 40 minutes or until a fork easily penetrates through the foil wrapper. You can also grill it without the banana leaf. 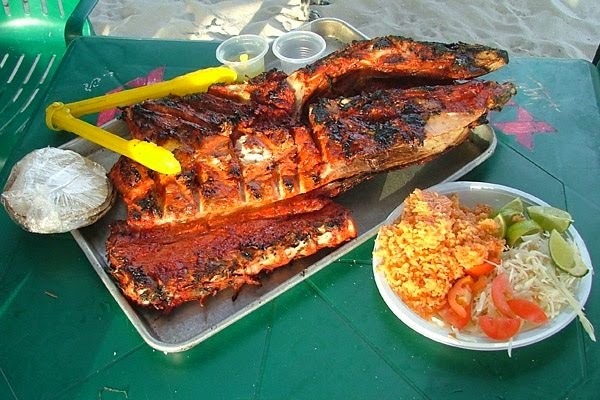 Try this and other delicacies at most restaurants at Isla Mujeres. 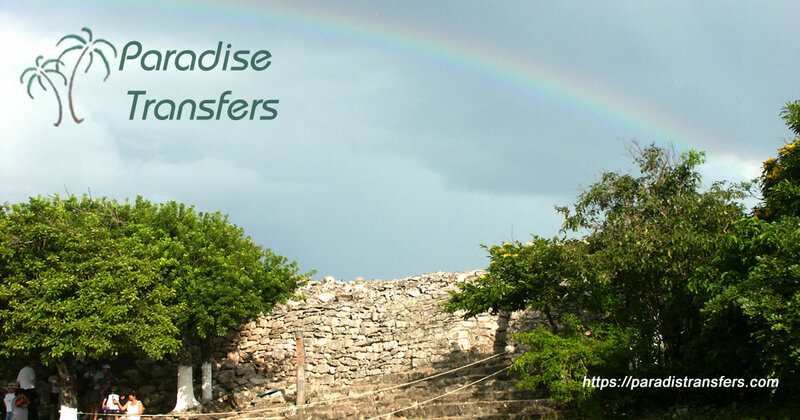 Pardise Transfers can provide the Isla Mujeres Ferry Dock Transfer at your need. Have a great day and enjoy your meal! 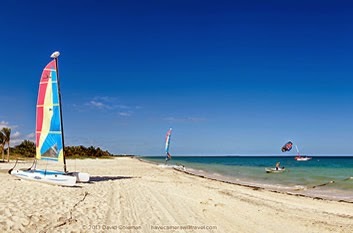 Puerto Morelos is a typical Mexican fishing village, located between Cancun and Playa del Carmen. 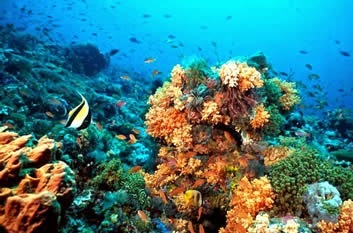 It is also the main port of the State of Quintana Roo., And globally known for its coral reef that is billed as the second largest around the globe. One of the main attractions of the area, which attracts thousands of tourists every year. Exclusivity and privacy in a majestic natural setting, under a deep respect and preservation of the environment. Paradise Transfers. Tema Viajes. Con la tecnología de Blogger.